In advance of his lecture Tuesday at the Mercantile Library, UrbanCincy was able to get an exclusive interview with Dr. Donald Shoup to discuss a variety of issues ranging from Cincinnati’s own parking management efforts, the controversial OTR Parking Permit proposal and how parking reform is changing with the emergence of ride sharing services. The digital interview took place on Thursday, October 23 and included the following discussion. John Yung: Last year the City of Cincinnati almost committed to leasing its parking meters and some garages to a private corporation (Xerox) for a lump sum payment and yearly revenue for 40 years. What are your thoughts on cities attempting to lease or sell their parking assets to generate revenue? Donald Shoup: Like burning all the furniture to stay warm on a cold night, selling a city’s parking meters for an upfront payment to cover current operating expenses is a bad idea. Some cities are considering more farsighted parking contracts that share the annual revenue rather than maximize the upfront payment. A contract with a professional operator who meets performance pricing goals and shares the resulting revenue with the city can give the city two big advantages: a well-managed parking system and a perpetual stream of income. For example, a city can require its private contractor to set meter rates that keep the curb occupancy rate between 75% and 95% on every block for at least a certain number of hours every day, with penalty payments for failure to meet the occupancy goal. If professional operators can manage parking more effectively and at lower cost than cities can, private contracts with performance goals can be a good deal for almost everyone. Xerox already manages the prices for on-street parking in downtown Los Angeles, and the program is a great success. Charging the right prices for curb parking produced some surprising benefits. The Express Park program showed that many meters had been overpriced, especially in the morning. During the program’s first year, 59% of the meter prices decreased and only 29% increased. Average meter prices fell by 11% and average parking occupancy increased by 17%. Total meter revenue increased by 2.5%. Parking reform is working well in Los Angeles. Yung: Cincinnati political leadership is currently looking at increasing meter rates, hours and implementing a residential parking plan for Over-the-Rhine, a neighborhood that is next to the central business district. The residential permits are proposed to be $300 a year, which will be the highest permit price for on-street parking permits in the country if implemented. The neighborhood is very walkable; however, many employment centers and retail destinations are not very accessible by transit therefore many residents of OTR still have to drive. Do you think that this is a fair market price for a neighborhood in a city like Cincinnati where approximately 10% of the population utilize some form of alternative transportation? Shoup: The proposed price of $300 a year for a residential parking permit seems chosen to generate revenue rather than to manage parking. It is less than $1 a day, but an on-street parking permit may not be worth even that low price to some residents. I would instead aim for the fair market price, which means the price at which demand equals the available supply. Yung: The city is currently in the midst of a zoning code rewrite and the topic of parking requirements is up for debate. Last year the city eliminated parking requirements in the CBD and OTR; however, there is little appetite from city leaders and planners to expand the effort to other areas. In discussions, some developers advocated for parking requirements as a way to protect on-street parking impacts around the University of Cincinnati and other high-traffic commuter areas. They argue that there are not enough parking options in the area and other developers, eager to cut costs by cutting out parking if the requirement is eliminated, would incidentally create more demand for scarce on-street spots for students and visitors.This is similar to a debate in Portland regarding high-density apartments. What would your response to this be? Are there instances where you think parking requirements would need to be preserved? Shoup: If Cincinnati uses fair market prices to manage on-street parking – the lowest prices that will leave on or two open spaces on every block at every time of the day – it won’t have to require off-street parking spaces for every land use. If the government regulated any other aspect of our lives as precisely as it regulates the number of off-street parking spaces everywhere, everyone would join the Tea Party. Yung: Futurist seems to be talking about driverless cars as a way to streamline commutes for suburbanites however there is also some discussion on utilizing them as a automated taxi service in cities. What are your thoughts on driverless cars and what do you think their impacts will be on cities and parking reform? Shoup: I don’t think driverless cars will have a big impact on cities during my lifetime. I do think that Uber, Lyft, Zipcar and the like are already having a big impact. Yung: Can you elaborate on how car sharing services are impacting the parking demand market in cities? Shoup: Uber, Lyft, and Zipcar reduce parking demand because they can substitute for a second car or even a first car for some families. Several studies of carsharing services like Zipcar have found that each shared car replaces between 9 and 13 privately owned cars because carshare members reduce the number of cars they own or avoid buying a car as a result of joining. Here is the link to a recent article about how carsharing reduces vehicle ownership and thus parking demand. And here is the link to another article about how dedicating an on-street parking space for a shared car reduces the demand for car ownership and thus parking demand. Yung: SFpark has been widely discussed as a success in national urban blogs. Do you think this system is the ideal model for ensuring demand driven market pricing for parking in cities? Are there any suggestions that you would make to change or improve this system? Shoup: SFpark, San Francisco’s new pricing program, aims to solve the problems created by charging too much or too little for curb parking. If the price is too high and many curb spaces remain open, nearby stores lose customers, employees lose jobs, and governments lose tax revenue. If the price is too low and no curb spaces are open, drivers who cruise to find an open space waste time and fuel, congest traffic, and pollute the air. SFpark bases the price adjustments purely on observed occupancy. Planners cannot reliably predict the right price for parking on every block at every time of day, but they can use a simple trial-and-error process to adjust prices in response to occupancy rates. This process of adjusting prices based on occupancy is often called performance pricing. Beyond managing the on-street supply, SFpark helps to depoliticize parking by setting a clear pricing policy. San Francisco charges the lowest prices possible without creating a parking shortage. Transparent, data-based pricing rules can bypass the usual politics of parking. Because demand dictates the prices, politicians cannot simply raise them to gain more revenue. Here is the link to a short article that explains SFpark. 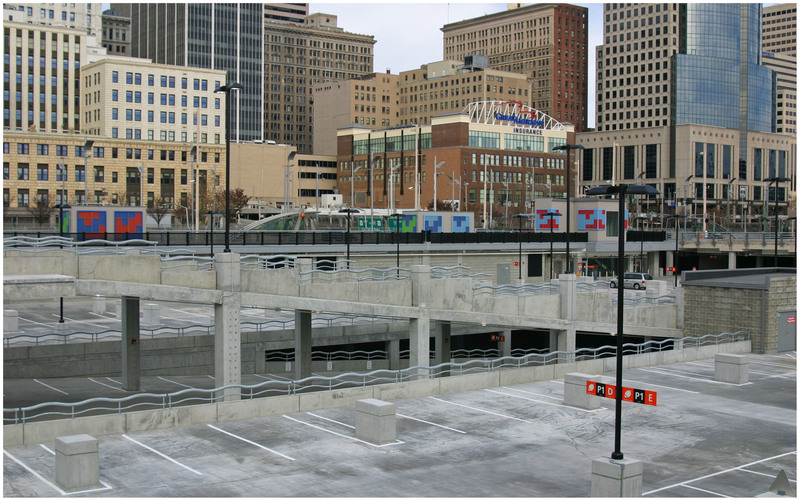 Immediately after conducting this interview with Dr. Shoup, it was revealed that many recently constructed parking garages in Portland, as required by law, are now sitting mostly empty. 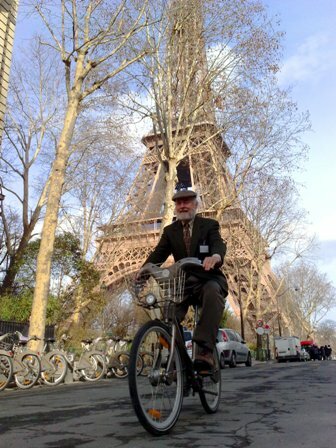 Dr. Donald Shoup’s lecture at the Mercantile Library will take place tomorrow at 6pm. The Mercantile Library is located less than a block south of Government Square and is accessible by a plethora of Metro Bus routes. It is also located near the Fountain Square Cincy Red Bike station.